Beautiful Ride with three generations. 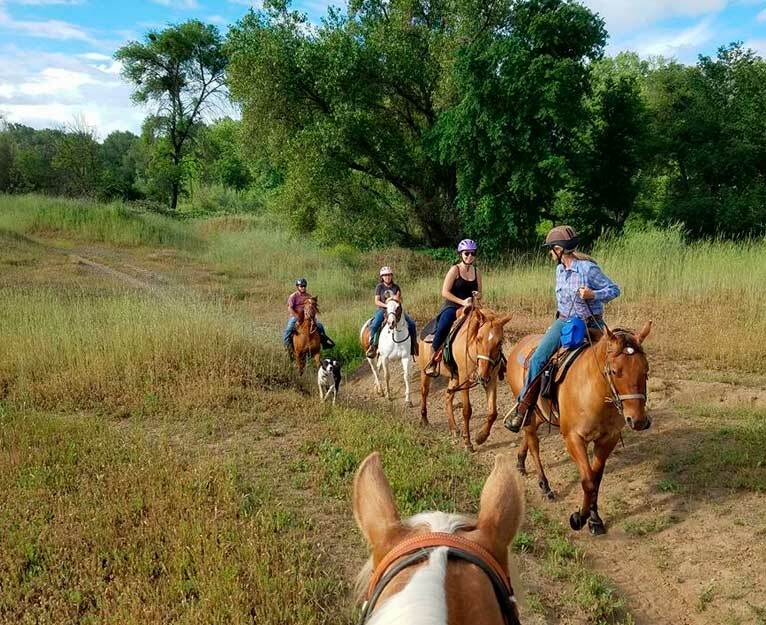 At NorCal Trail Rides we offer safe, comfortable trail rides throughout the Northern California area No matter your experience level you can enjoy a scenic ride by the Sacramento River, where we often see lots of wildlife. Safety is always our main focus to insure that everybody has a worry free ride and enjoy the beautiful scenery; we take out rides seven days a week year round. Call for times as they change depending on season and weather. Children have to be over the age of six to go out on the trail with us, but the little ones can still take lessons and ride in our arenas. Call us about longer rides and prices at (530) 515-8958 so we can help plan your special day! * Please note our cancellation policy: you have 24 hours to cancel to recieve a full refund. Anything after 24 hours of the transactinh with recieve a barn credit. If you cancel within 24 hours you loose your deposit.